The changing dynamics of the movie industry are such that even some of the most celebrated moviemakers are turning to streaming services to make their movies. 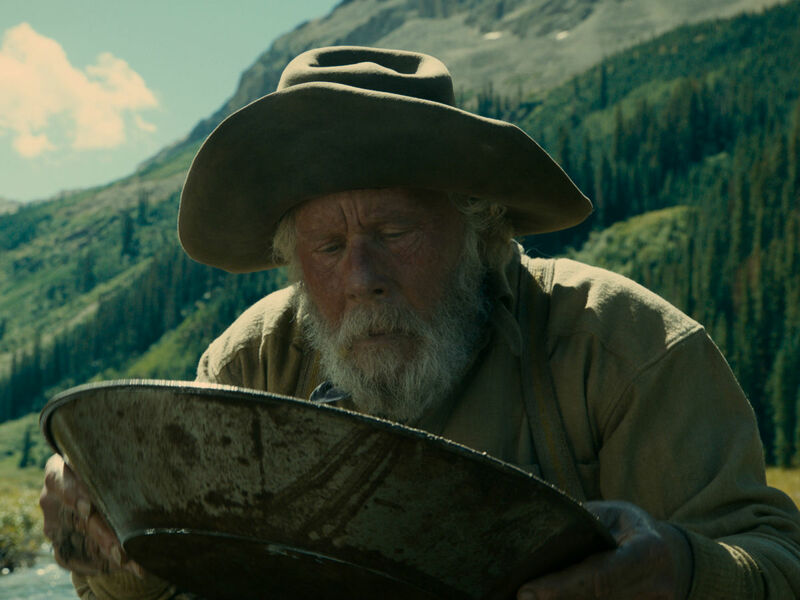 So it is that the Coen Brothers’ latest film, The Ballad of Buster Scruggs, will mostly be seen on small screens via Netflix (although it is getting a small, Oscar-qualifying run in theaters). 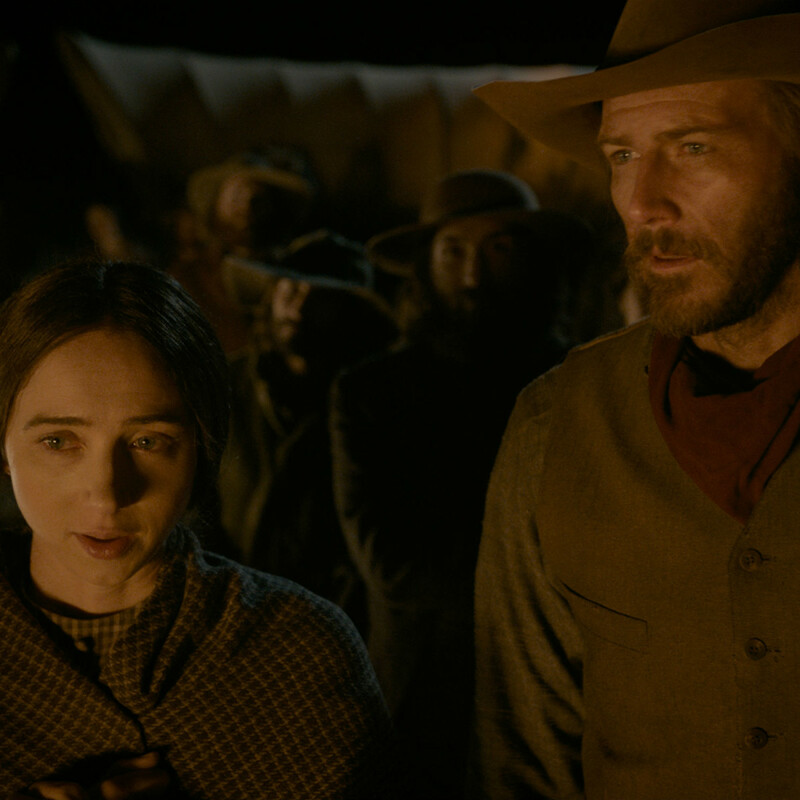 Originally designed to be a miniseries, the film is instead a 130-minute long Western anthology film composed of six separate, loosely-connected pieces, ostensibly all chapters from a fictitious book. Befitting the Coens’ aesthetic, the six short films run the gamut from hilarious to violent to enigmatic. 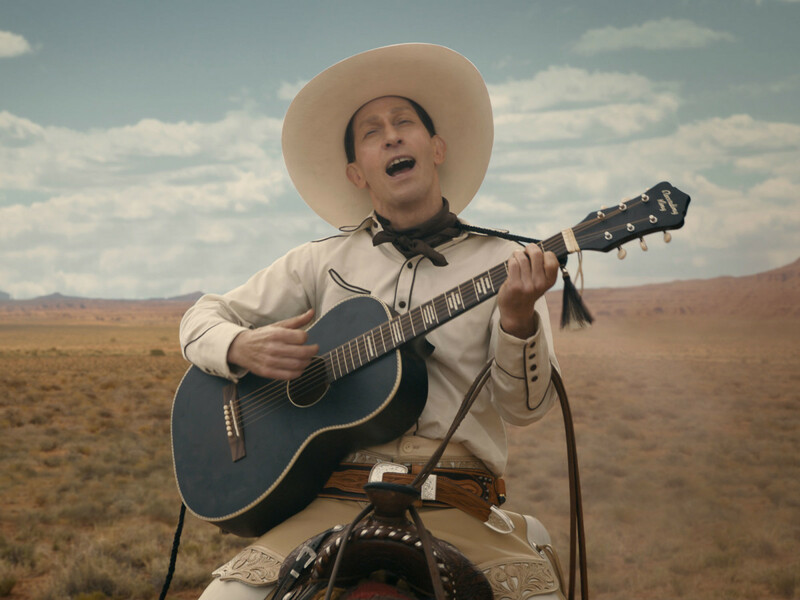 The film starts out strong with the titular story starring Tim Blake Nelson as the singing sharp-shooter Buster Scruggs. The juxtaposition between the natural goofiness of Nelson, the folksiness of the songs he’s singing, and the brutal way in which he guns down multiple people gets things off to a great start. Things become hit-and-miss from there, however. 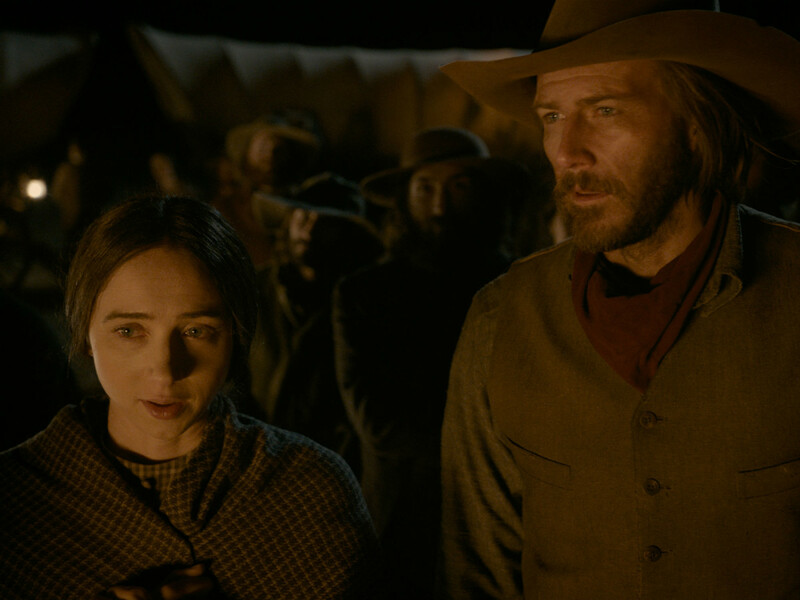 Highs include James Franco in a short-but-fun story about an unlucky bank robber, complete with a wackadoodle Stephen Root; Tom Waits as a gold prospector; and Zoe Kazan as a woman who has a bumpy run on the Oregon Trail. Other segments with Liam Neeson as a traveling theater owner, and Tyne Daly, Brendan Gleeson, Saul Rubinek, and others as members of a traveling party fail to connect as much as the others. Not helping matters are the greatly varying lengths of each segment. While some benefit from a relatively short running time, others are allowed to stretch out well beyond their natural ending point. Also, while not a necessity, the fact that none of the stories are connected in any way besides them being set in the West give the film a real lack of cohesion. Still, the signature dialogue of the Coen Brothers and their unique sense of style give the film enough memorable moments to warrant recommending. One of the best comes in the first segment in which Nelson pats dust off himself inside a saloon, leaving a Buster Scruggs-shaped silhouette behind. 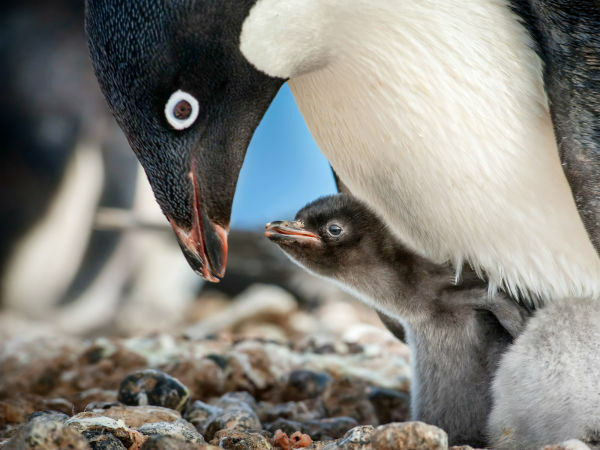 It’s one of those shots you can imagine being played in awards compilations for years to come. Since each actor gets only a short amount of time to make an impact, it’s difficult to judge their individual performances. Nelson, Waits, Kazan, and Root are definitely the most notable, utilizing their screen time for all it’s worth. Special mention should be made of Bill Heck and Grainger Hines, two character actors who combine with Kazan to make that segment especially good. 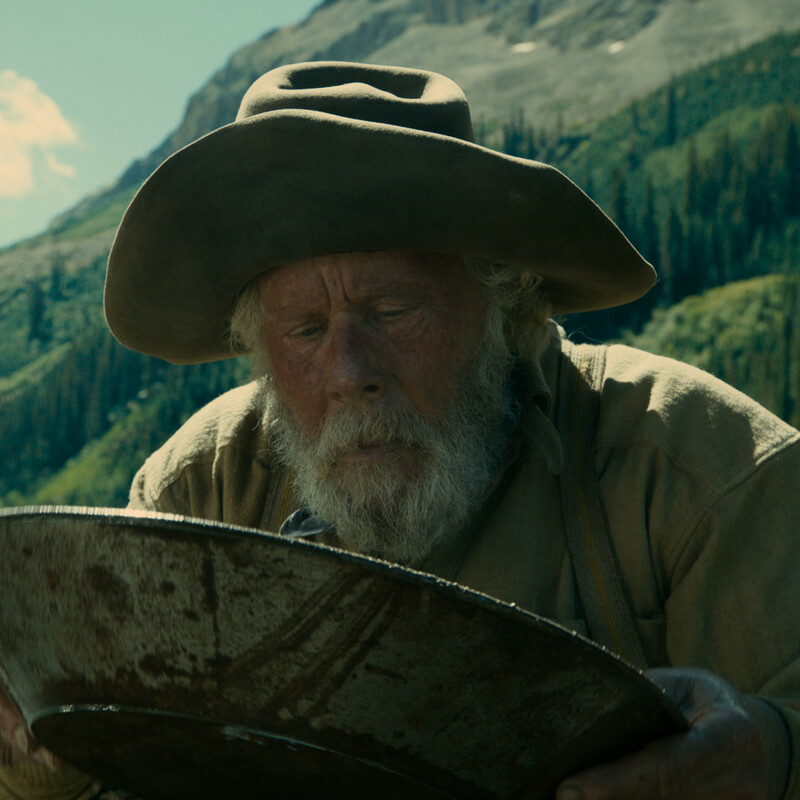 The Ballad of Buster Scruggs works in fits and starts, but you can’t really call it a satisfying whole. It’s great to get new Coen Brothers material in whatever form it takes, but here’s hoping their next project is an honest-to-goodness feature film designed to play in theaters, where their work belongs. 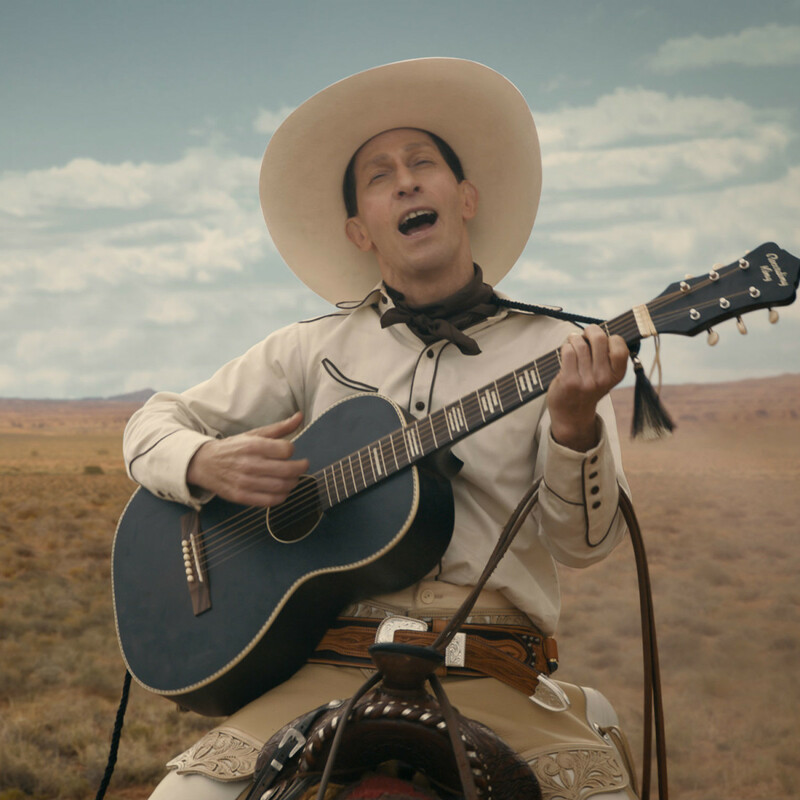 The Ballad of Buster Scruggs is playing theatrically at the Landmark Magnolia and on Netflix.